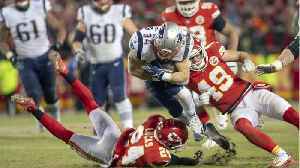 KANSAS CITY -- Rex Burkhead's 2-yard run on the first possession of overtime gave the Patriots a 37-31 win over the Chiefs Sunday night and sent the Pats to their third consecutive Super Bowl. New England went 75 yards in 13 plays to deny Kansas City its first trip to the big game in 49 years. 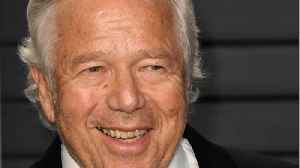 Business Insider reports New England Patriots owner Robert Kraft was charged with two counts of soliciting prostitution on Friday. On Monday, probable cause affidavits made clear that one of the days..